Colon hydrotherapy is an effective treatment for detoxification and restoring regular bowel function. The treatment involves flushing the colon with sterilized water to remove accumulated toxins from the body and stimulate normal bowel activity. Colon Hydrotherapy can help to treat fatigue, chronic pain, bloating/gas, weight gain, skin conditions, hormonal ssues and an irritable bowel. The beneficial bacteria play an important role in our health, manufacturing short-chain fatty acids (acetate, butyrate, propionate), which are the preferred fuel of our intestinal cells and contribute to a healthy bowel pH level. These bacteria also inhibit the overgrowth of yeast, parasites, and pathogenic bacteria. Chronic constipation, digestive problems, food allergies, poor diet, and medications such as antibiotics and steroid medications often contribute to poor colon health, which may lead to many other chronic illnesses. Colon hydrotherapy is a session, or series of sessions, using gentle "flow" of water to flush out intestinal material from the bowels. Unlike enemas, which only cleanse the last 12-18 inches of the 5-foot bowel, colon hydrotherapy directs water flow through the entire length. Together with proper diet, exercise, and supplementation, constipation of various types can be effectively resolved. 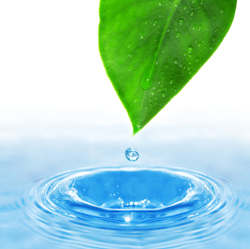 Colon hydrotherapy promotes the effective elimination of toxins and helps rectify digestive dysfunction. fatigue/fibromyalgia), intestinal infections (candida, parasites, worms, pathogenic bacteria), irritable bowel syndrome and a multitude of other conditions. Colon hydrotherapy sessions last about 45-minutes on average. Our colon hydrotherapist performs the treatments under the supervision of a Naturopathic physician. A screening exam is required before any prescription for colon hydrotherapy is written. To find out if Colon Hydrotherapy is for you, please contact our office to schedule an appointment with our Naturopathic Doctors.